Aloha. 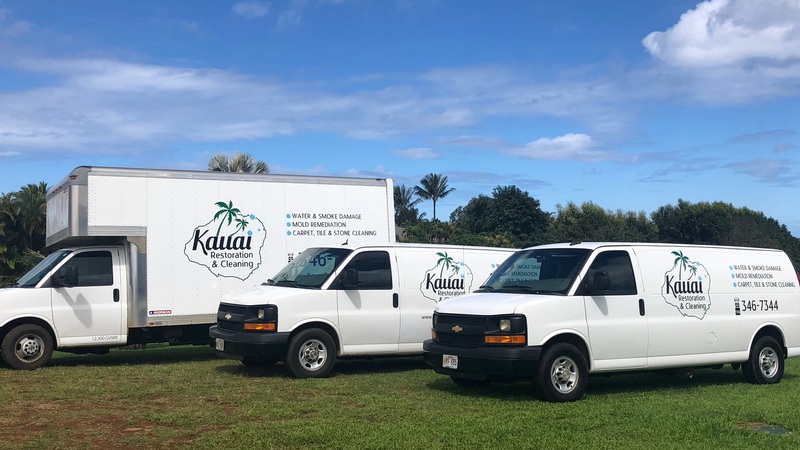 We are Kauai Mold Removal, and we are the islands’ top professionals for mold removal and mold inspection. We have been in the mold removal business for over 20 years, which means we have deep resources and the best technology available for remediation and inspection, to make sure you mold problem is appropriately and thoroughly resolved. 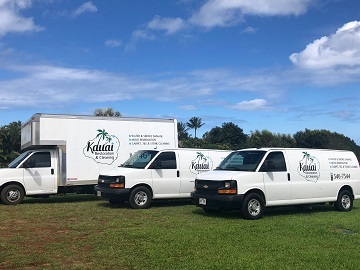 All our technicians are professionals that live on Kauai and have the expertise and the local knowledge to make sure the job gets done right the first time. We provide quality work for reasonable fees. Plus, we can help you get your insurance reimbursement (in many cases we can even get them to pay up first). We have no hidden charges. We will give you a detailed estimate before any work is done and will be there for you as your advocate from start to finish. We provide 24×7 emergency board-up services. We typically respond within 3 hours or less. IS THERE BLACK MOLD ON KAUAI? Dangerous and potentially deadly forms of mold do grow and even thrive on the island. This is important for homeowners and business owners to know, because what most people call “black mold” refers to a class of species that is toxic to humans and is often cited in law suits related to mold exposure. Contrary to its name, toxic mold is not always “black”. Likewise, just because it appears to be black in color, does not mean it is toxic. So, this actually makes it even more dangerous because it means it cannot be easily detected by appearance. That is why a professional mold inspection is vital. For example, did you know that toxic mold is found most often on water-saturated cellulose materials (such as cardboard, fiberboard, or dust). We do, and much more! The cost for black mold inspection is not necessarily more expensive than a regular inspection, but the cost for black mold removal can be more, due to the necessity for employing advanced techniques and technologies to safely handle a toxic mold outbreak – a simple “mold clean-up”, isn’t sufficient in all cases. Don’t trust such an important and potentially dangerous service to less experienced outfits. We are black mold removal experts and we have the technology and experience necessary to keep your home or business safe from dangerous mold! What does professional mold removal as well as natural disaster relief cost in Kauai? Each job is unique, which means each estimate will be unique. We can’t promise we will be the cheapest option, but what we can do for you is provide an easy-to-read, itemized estimate before any work is started. We strive to be advocates for our customers – from start to finish. That means helping you understand the services we are recommending and the associated costs. It also means helping you get any insurance reimbursement you are due. In fact, we do everything in our power to get your insurance company to pay their share first!